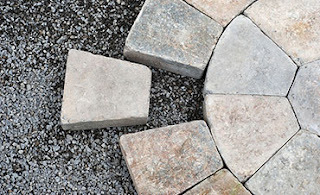 To give a smart curb appeal to your house, your driveways, walkways, patios, retaining walls, fences and decks can be customized uniquely through interlocking stone installations. Whichever style category your home falls under and whatever its personality be – be it traditional, contemporary, vintage or coastal, interlocking stone provides it with a variety of colors, pattern and designs to choose from. It is a step forward in adding character to your dream abode and falls reasonably convenient and cost effective in the long run due to its strength and durability. It lasts longer as compared to other floorings. It is built in such a way that it offers almost no cracks and easiest repairs. It can be washed as it is easy to clean and demands low maintenance. • Since how long they have been in this field and how much experience do they hold for the particular work? • How good is their name in the market? Have you studied about their company, history and reputation? • Check if they hold any certification or license. Are these licenses still active? • Do you have references of their past projects and have you reviewed their work? • Do the contractors provide a written proposal mentioning the payment terms, time schedule of beginning and completion of work and all the material to be used? • Do you understand every bit of their installation plan? Is it clear and accurate? • Can they demonstrate to you how the project will look like after the completion through any means of software? • Do they offer any insurance or any sort of guarantee on their work? • Do they offer any maintenance or repair or restoration services for a specific period of time? Just the way you do for your all other investments, do your homework at length so that you can be satisfied with what you get. If you wish to make your yard the envy of passersby and neighbors, pay attention to the following landscaping inputs as these can help highlight your yard's features and hide the problems to form a beautiful view. It is essential that you plan for all year round and not just the current weather. A landscape that will go dormant in the winter will look uninviting and foreboding. Make sure you include structural elements for winter like shrubs,trees as well as other material that also looks good in summer, spring and autumn.Don’t overlook the color schemes either. Most people give all their attention to the size of the lawn and the slope and shape of the front yard. But what they don’t realize is the most crucial element in their complex is the house itself. It may get ignored during landscaping but it must be designed around and planned in advance as it may pose certain design limitations. If you outsource landscaping services, the landscaping company will design the elements based on the shape and size of your house and how it looks from a distance. You need to work with shapes and masses to create landscaping for curb appeal. If your house is large and you wish to plant something, don’t opt for little flowers that won't read from the street. Rather than that, opt for plants like midsize shrubs and use them in repetition in rows. When people drive by, they don’t notice individual flowers, they only see the impact of plant groupings that enhance the shape of the walkway, and house of course. Hardscape elements are key in designing a landscape for the ultimate visual impact. A deep sidewalk, for instance, provides an opportunity for a wide flowerbed as an accent. A bench would offer space for a gathering of perennials and shrubs. You only need to think about what could be added to the yard and how to highlight it. Landscaping to enhance curb appeal will ultimately dwell on someone walking in through the front door. And you would want them stunned, wouldn’t you?For that, you would have to be mindful of the experience you provide starting from the street right up to the door step. Think about transitions and whether you can break up the trip short of destroying clear line of sight. You can include a bend in the walkway keeping the doorway in sight or add urns on both sides of a curve. If you are seeking to beautify your house by increasing its curb appeal, landscaping can certainly do the trick. 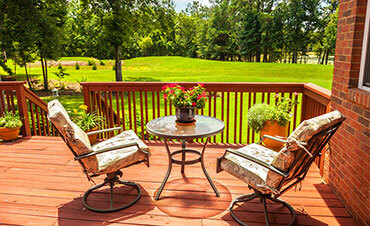 New home owners seem to have ideas always running through their minds, and landscaping is always a frontrunner. But what must you keep in mind before you actually begin landscaping? Here’s what. Begin by assessing what you've already got. You will see a cycle of seasons in this house so compile a list of USPs you got – a special tree, view of sunset, shade, etc. Also, create a list of dislikes about the setting – too much wind, lack of privacy, harsh sunlight, etc. Based on this, good landscaping can solve most of your yard's shortcomings. It is most important to weigh the needs of your family. Be it planting of a tree or building a deck, all landscape decisions must eventually comfort and delight your daily living. Whether you wish to solve a yard problems or accent a feature, add only those elements that address a specific purpose. Landscape architects – They are the planning expert, almost comparable to a real estate architects for their training and know-how. Landscape architects can be consulted when your house is being designed. Landscaping designers – They often do work that is similar to landscape architects, but they hold less extensive training and mostly plant oriented. The fee of your landscape designers employed is less than that of architects. 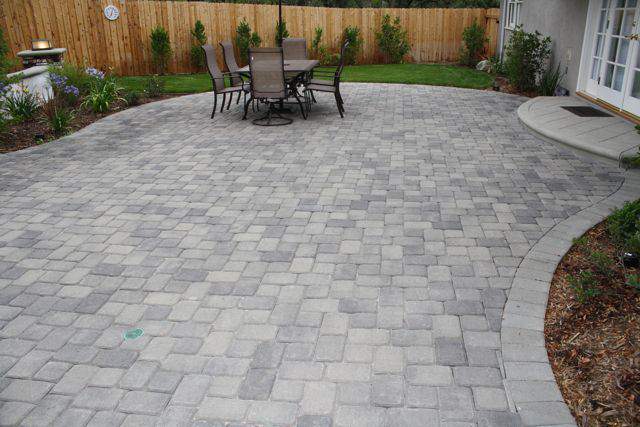 Landscape contractors – These are smart workers who may also hire out the real work. Landscape contractors talk about materials used and can also provide you with interesting samples of materials they can supply. Good results demand good planning. Make sure you hire only professionals for landscaping. Are you redesigning your home or office? So you have finally reached the momentous stage where now need to choose a flooring for the exterior. This may be a tricky situation but don’t decide without giving it a deep thought. Remember never to overlook one of the most crucial aspects in redesign, selecting the proper flooring, a critical consideration being the moisture level in and around your driveway or garage. If you live in a cold or wet location where a person could slip easily or you live on a hilly terrain where your car or an improperly stored object could slide down a smooth garage, you should probably opt for interlocking and landscaping services. Time to start seeking interlocking stone services as interlocked stone tiles help you not only build sturdy floorings, they also make your real estate look more appealing. The modern lock designs speak for themselves and can be installed anywhere from driveways, exterior stairs, pathways and patios. If you live in a region with higher levels of snowfall during the winter or higher levels of precipitation then moisture from your car can run off on to the floor to create a puddle of water. Not only can one slip on it (imagine your Saint Bernard slipping), if the water gets trapped under the tiles it could lead to severe cracks. While specific types of flooring may worsen this problem, you would need a type of flooring with fluid air channels to allow the water to pass underneath and not let it stand. Interlocked stone tiles can be a good choice for fully functional garages. They are engineered with gussets, adding to the weight support capability. This saves your floor from moisture retention as the tiles are never attached directly on to the ground. So whenever you start refurbishing your new garage or other exteriors, always keep in mind the climate and select your flooring accordingly.